In the 1990s, the citizens of the Lucca province were going to see the construction of an incinerator, which would have had a strongly negative effect on the environment. Once he knew about this project, Rossano Ercolini, a primary school teacher from a school that was close to the site of the intended incinerator started to worry about the health of the local population and act to fight against the construction of the incinerator. His efforts were not thwarted. 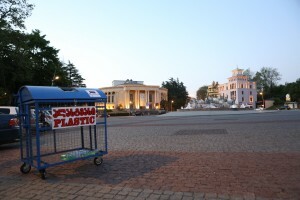 The president of the province called off the construction of the incinerator and gave Ercolini the task of developing a waste management plan. Its success is now clear to everyone. A virtuous example, Capannori manages to recycle 82% of its waste. In 2013 Ercolini was awarded with the prestigious Goldman Environmental Prize which is given to grassroots activists who have even out their own life in danger in order to protect the natural environment in the place where they live. Today, Ercolini coordinates the Italian version of Rifiuti Zero, the Zero Waste movement in Italy. I have had the pleasure to interview him for this blog. Can you summarise your career as an activist and teacher and how you have been able to combine and carry out both of these experiences? At first sight, one might think I’ve led a ‘double life’. On the one hand, I’ve been an elementary school teacher for 38 years, whilst on the other hand I’m an activist. However, these are actually two sides of the same coin. The teacher makes hit work available to enable students to access different types of competence while the activist makes his knowledge available for the community in which he or she lives. In short, this has been my personal experience. In 1994, when Tuscany manifested the intention to build an incinerator in Capannori, my team and I immediately got down to work to understand the consequences that would be entailed and the alternatives we should propose. My work in class is very similar. I can get angry if I see something wrong, but I have to suggest more constructive alternative behaviours. This is the essence of education. Many people in my team are teachers and this is no coincidence. In a way, we can say that we have exerted our natural role. The incinerator was not built and the battle fought by your team was won. An amazing achievement, if we consider that neither you nor the members of your team, when it all started, were waste management environmental engineering experts. I studied humanities. But in 1994, when we heard that an incinerator would be built on our territory, my team became expert on chemistry, environmental science, logistics, etc. At that time, no doctors or scientists were willing to jeopardise their reputation to talk about the damage brought about by incinerators. We had to act in lieu of them and had to study hard to be able to stand up for our ideas and defend them in public debates against the so-called experts from the counterpart. Obviously, being able to master a certain topic is a gradual process. The educator knows too well that a learning process needs time to be fulfilled. The Goldman Prize was awarded to you to crown your efforts. Which impact has it had on your activity? Receiving the Goldman has motivated me to act with even more resolve. I try to take advantage from the echo about the award that was generated by the media to support and promote, through my presence, grassroots activists whose fight would normally be published as a short article lost somewhere in the least important pages of a newspaper. The national tv will come to Capannori for a reportage, but in the past, at the beginning of our battle against the incinerator, our struggles went on among in the silence of the main mainstream media. Here I’d like to spend a couple of words on the power of the media. Much is said, rightly, about the inadequacy of politician and entrepreneurs, but the mainstream media are to be held even more responsible if people are not aware of what happens in their territory. Luckily the counter-power of the Net enables to have an idea without having to go through the power of television. Even though the Internet has also dark sides, stating: “I didn’t know,” can no longer be justified today. The propaganda, however, tries every possible way to protect the interests of its party. The adversary is paid very well to work 24/7 and is never to be underestimated, while we spend time away from our families and become scientists or reporters in our free time, after work or our daily chores, as we can’t rely on the same financial strength of our opponents. We’ve often been derided or described as noisy, not prepared, irresponsible, reckless, terrorist, etc. I know these traps of communication, I have personal experience of them. I’ve learnt to understand the methods of propaganda, which only aims at brainwashing, not debating. But the activist sides with the common people who have to endure this daily aggression. It often happens that through the media the audience receives from the so called ‘experts’ misleading messages on crucial issues such as energy, environment and waste management. How can the reader or the watcher defend themselves from these ‘pundits’ who twist reality in order to protect private interests of few people? Are there any books you would like to suggest? We can talk about a literature, but I’m against shortcuts. Everyone should do their own research, I guess. The fundamental need is to be open to listen to all parties and check every bit on information you have got. regarding my team, we’ve always tried to act as seriously as possible. When you circulate wrong or superficial information, though moved by strong passion for a cause which may be the right one, you are not showing to have a responsible approach. Not being considered ‘pundits’ has often been an advantage to us. The consultants named by public institutions in the case of the incinerator went clearly against people’s health and appeared to be a macroscopic violence to the local community. Our role of common citizens who activated themselves and were the first ones to gather information, highlighted with even more strength the episodes in which the so-called ‘experts’, who were acting dishonestly to defend the interest of very few private people, brought fake data and ideas. Zero Waste’s role goes well beyond the matter of waste management. Rifiuti Zero is an example of bottom-up democracy, because its competences come from common people. I define this type of knowledge as ‘informal’. In my opinion, it should be more and more often combined with the ‘formal’ knowledge of university departments, labs, research centers, which unfortunately doesn’t happen, as the academic world often lives separately from society. This is yet another indicator of how institutional responsibility at all levels, political, economic and academic, is not connected with reality and often even reaches the point of ridiculing the knowledge that comes from the bottom. Zero Waste’s task does not only consist in considering waste as resources. It is about making democracy breathe again. Admittedly, democracy also means voting every 5 years, but in particular it means actively participating when choices are made that will influence the next 30 or 40 years of the life of children who have not even been born. When we talk about Zero Waste, we activate a path based on horizontal relationships. Either we build this type of society or we are never going to be able to establish a peaceful bond with our planet. The top-down model is located at the opposite end. It serves the purpose of multinational companies where 10 powerful people call a country’s Prime Minister and impose decisions that are taken to the detriment of millions of oblivious people. The TTIP is an example of that. If it passes, we’ll be forced to buy some OGM products without even being able to express our opinion about it. Where does the expression Zero Waste come from? It originated in California, but the model has spread from the Anglo-Saxon world to Italy with our experience. For once, our country is the front runner. In Europe, things are going well. 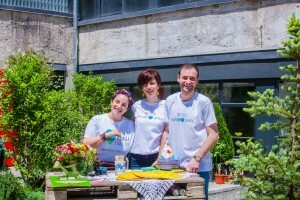 Ljubljana has become the first European capital to adopt Zero Waste and in France, Spain and Portugal there are Zero Waste movements. However, Italy has been the driving force. As often happens, our country is as beautiful as it is also full of contradictions. Within only a few kilometres, we find Naples at the time of the waste crisis and shiny examples such as Salerno, which was already reaching 75% of separate waste collection. Despite the apparent power of the media and the political and financial elites and lobbies, experiences like yours and those of Oscar Olivera e Hazel Henderson indicate that this is the age of the common people. Yours stand out as examples of ‘practical idealism’ deeply rooted in society and based on trust relationships created within a community. 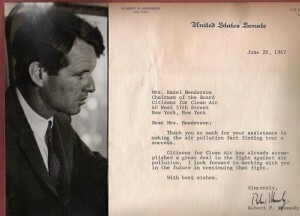 There are many heroes of daily life, grassroots activists, especially in the UK and America. We have several even in Italy and I’m proud to live in a country with such a great potential. However, we tend to lack in Anglo-saxon pragmatism, so while we have 10 meetings to perform one action, they have one meeting and carry out 10 actions. This is the reason why Rifiuti Zero aims to spread a culture that connects civic action to the solution to problems. Sometimes our critical thinking triggers sterile internal conflicts and divisions that are used by opportunists to their own advantage. On the contrary, we need to link critical thinking to practical experience. Rifiuti Zero gives rise to measurable events. If in town you start from a 10% garbage sorting and you get to 80%, there has been a quantifiable growth. Or we can analyze how many jobs are created through door-to-door collection. These are the tangible figures that make us understand the good practices and what does not work, instead. Bringing some pragmatism into the Italian civic culture would be very important, and I repeat, I am proud as an Italian citizen of our cultural heritage. You’ve spoken about opportunities for the economy and to create jobs. Can you expand on this point? Capannori’s waste tax is the lowest in Tuscany, 60 new jobs have been created, people come here to study what we do, with positive consequences for bar, restaurant and hotel owners in the area. As Zero Waste, we often host groups of people coming from Italy and abroad, which contributes to shaping an open mentality looking ahead to the future. On 9, 10 and 11 December, for instance, we have organised an education training on the 10 Zero Waste steps. It hasn’t only been a course on how to collect waste, but it was also the atmosphere that participants could breathe that made this course a unique educational experience. This is the magic touch of our training courses. I have the pleasure of collaborating with a staff of valuable young people from a personal and professional viewpoint. Those who claim that waste sorting is for fanatics is stupid. In fact, no-one openly claims it. On the contrary, everyone now shows off with phrases like “zero waste” or “garbage sorting”. However, we must pay attention because this is often only propaganda. For instance, with the Sblocca Italia plan the government hasn’t given our theories the room they needed. 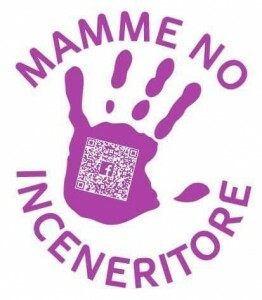 Nobody, from the current Minister of the Environment, Mr Galletti, to (now former) Prime Minister Renzi, an age-long supporter of incinerators, has promoted a national recycling plan, yet. The problem is that there are strong lobbies which have a name: multiutility companies. They are companies – often both public and private, editor’s note – which provide two or more types of public services. In their name, plans and constructions are funded with public money that is taken from the pockets of those same citizens who oppose projects that are detrimental to their life and health. Previous articleWhat Is the Great Garbage Patch?